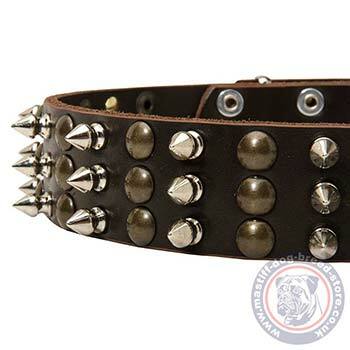 Designer dog collar for Mastiff dogs is a handmade dog collar, decorated with 3 rows of spikes and studs. 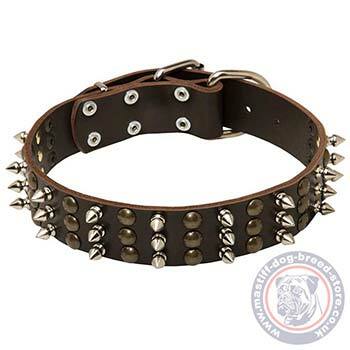 The exclusive design will underline the power and temper of your strong dog. The strong Mastiff dog collar will help you to control a dog at daily walking, in public places and at basic training. 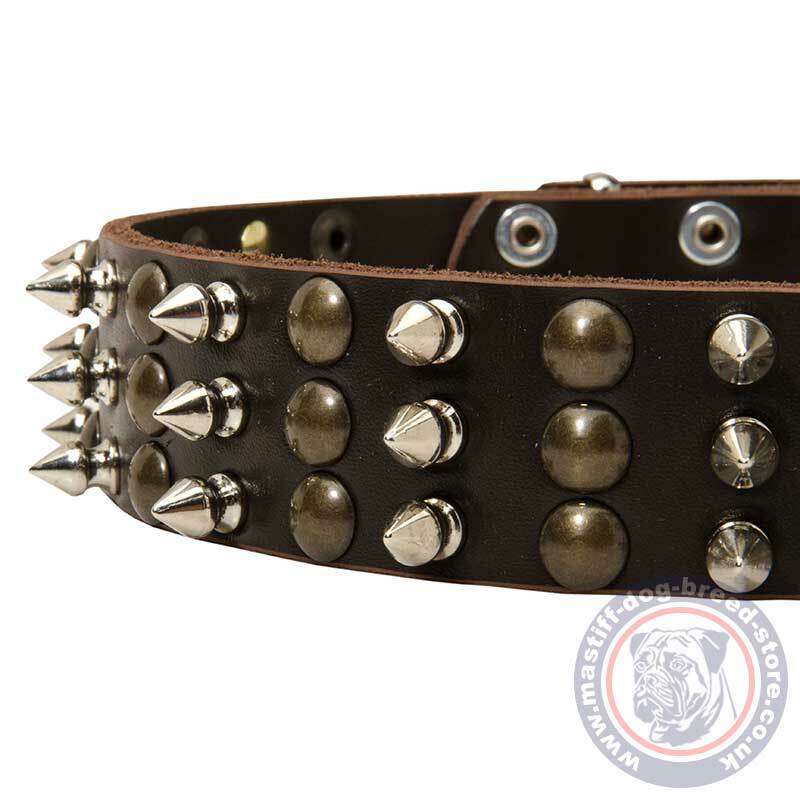 Designer dog collar for Mastiff is made of full grain genuine leather. It is the best material for dog accessories, at it is natural and non-toxic, hypoallergenic for dogs. Besides, leather is a strong material that will undergo huge loadings of a large, strong dog, like Mastiff. The designer dog collar has welded buckle, D-ring for leash and square ring for tip fixation. It is easy and comfortable to fix it on your dog. For buckle collar, when you specify neck size, we make collar fit on the central hole. This is the exclusive designer dog collar of limited edition. Make your dog look extraordinary! Try now the best quality, recommended by specialsists and approved with the International Quality Certificate. Your dog deserves the best.